Born November 25, 1900 in Bracebridge, Ontario. Bill’s desire to become a dentist took him to the University of Toronto in 1920 where he began his first year of dental school. While there he made a name for himself on the varsity hockey team. 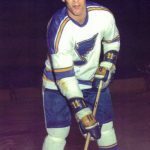 In fact he helped lead the University’s OHA team to an Allan Cup Victory. Classmates and professors demonstrated their appreciation with a special ceremony in the lecture hall of the Royal College of Dental Surgeons. Bill and the other dental students on the team were presented with a gold watch and a leather club bag. 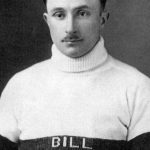 Bill Carson played for the University over the next three years, winning the Allan Cup again in 1921. 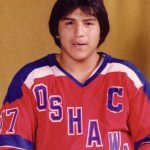 He went on to play with the Peach Kings in Grimsby for one year and then with the Stratford Indians for two more years. He had an impressive showing in 1924-25 netting 29 goals and 8 assists in 20 games. Meanwhile, the Toronto St Pats noticed Carson’s performance and boasted his signing with the team in 1926. The manager and coach Mike Rodden wanted everyone to know that he was bringing in new blood, placing much hope and trust in Carson. 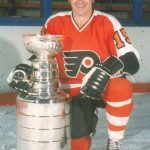 His trust was well founded when the Pats soon became the Maple Leafs in 1927 and Carson’s stellar performance made him a fan favourite. Carson would also go down in the history books as a charter member of the new Toronto Maple Leafs. 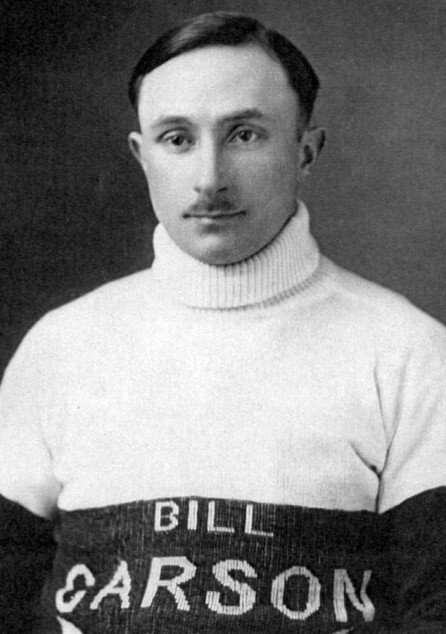 It is thought that Bill Carson may have scored the first Maple Leaf goal! It was in his third season with Toronto, on February 4, 1928, the leafs met the Detroit Cougars in a very physical game. Carson was badly hurt when on the receiving end of a hard body-check sending him to the ice. He sustained a severe concussion and a fractured skull. Although he recovered and returned to the lineup, he was not the same player. Toronto traded him to Boston on January 25, 1929. 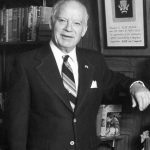 The Bruins’ investment paid off when Carson scored the winning goal in the Bruins’ first Stanley Cup at 18:02 of the third period making the score 2 – 1 against the New York Rangers at Madison Square Garden in 1929. The series was 2 – 0. 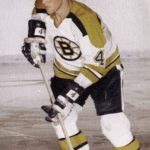 Carson stayed in Boston for one more season and was then traded to the London Tecumsehs of the IHL where he played only seven games. Although he retired from hockey, two years later he attempted a comeback. That was in 1933 and played a full season with the New Haven Eagles of the Can-Am league. Following that, he hung up his skates for good. Bill returned to Canada to practice dentistry. He first located in Aurora and eventually came back to Parry Sound. Bill Carson died in Parry Sound on May 29, 1967. 1923-24 Grimsby Peach Kings OHA-Sr.
Bill signed as a free agent by Toronto, April 16, 1926. He was traded to Boston by Toronto for cash, January 25, 1929. Traded to London of the IHL by Boston for cash, November 24, 1930. Bill Carson is brother of Frank and Gerry Carson.